Do you have a bread machine just sitting around in your cupboard or basement like I did? I received mine as a birthday present from my husband a few years ago and rarely ever used it. I walked into my neighbor's house several weeks ago and noticed she had a bread machine on her counter. We got to talking and she explained to me that she never buys store-bought white bread. She only bakes fresh bread for her kids' lunches. Hmmmm....that got me thinking about that lonely little machine in my cupboard. That also got me thinking about all the ingredients (chemicals) that are in our $1 loaf of grocery store white bread. And why doesn't bread mold anymore? It's just got to be all those preservatives. It's been about four weeks since I've started baking bread daily for our family. Yes, daily for our family of five. You may be thinking, "thanks for asking me to fit one more task into my day." Well, that's what I thought, too, and that's where the machine comes in. This recipe for basic white bread only uses seven ingredients and it only takes 5 minutes to put the ingredients in the machine and turn it on. Four hours later, you will have a beautiful loaf of fresh bread. 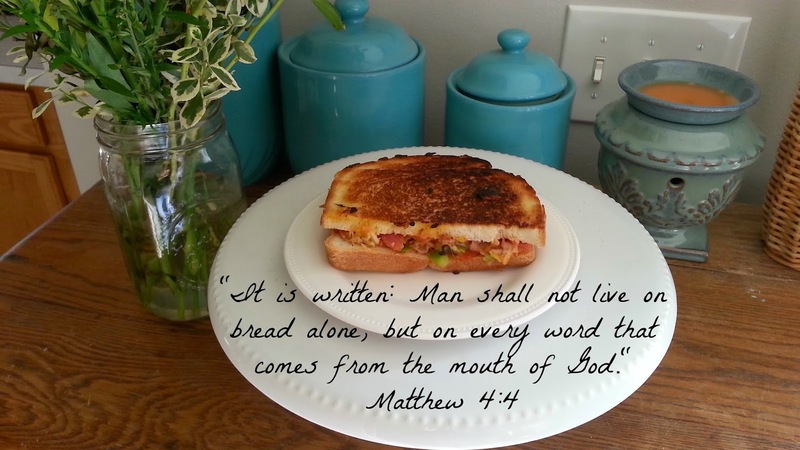 It's very simple, the bread tastes much better, and our home always smells like fresh bread. And I have peace of mind knowing my girls' lunches are a little healthier. Ingredients go into the machine's loaf pan in the order they appear in the recipe. No need for mixing! When the timer goes off, your machine will automatically shut off so it's okay if you're not home when the bread is done baking. Take the loaf pan out of the machine, shake out the loaf onto a cooling rack. Wait until the bread is done cooling to place in a bag or cellophane. That's it! Cleaning the machine is super easy, too. Just wipe the loaf pan out with a dish towel and place back into the machine, ready for your next loaf. You will want to make sure you have your ingredients on-hand if you plan on doing away with store-bought bread like we did. We have 50 lb. bags of flour and sugar that we picked up from an Amish store over the summer. We also ordered a 2 lb. bag of dry yeast from Amazon. And to make things a little easier, you can also stock up and make extra loaves and freeze them. 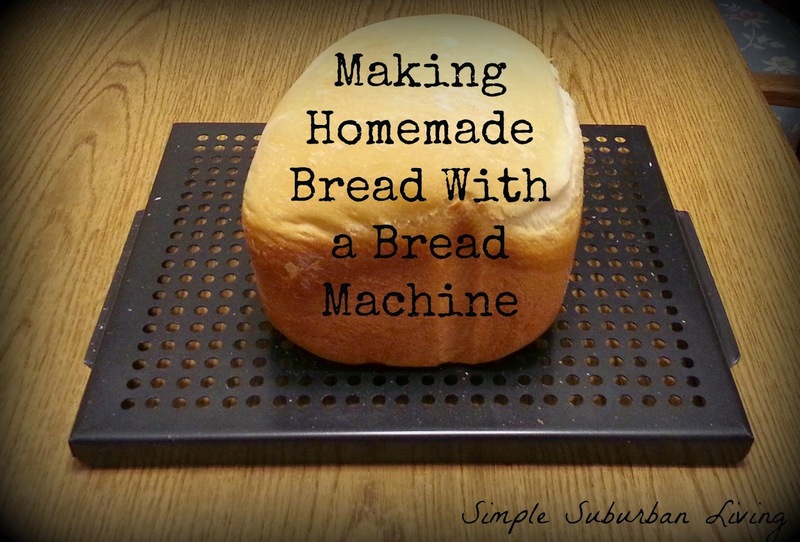 Watch this video to learn how to make bread using a bread machine! I love my bread machine but need to learn to use it better, thanks for the encouragement! Would you mind sharing this with us over at Country Fair Blog Party, a once a month link up? We'd love to have you join us!